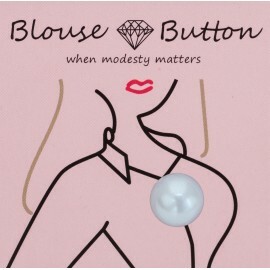 The Blouse Button™ was created by a woman to solve an every day nuisance. 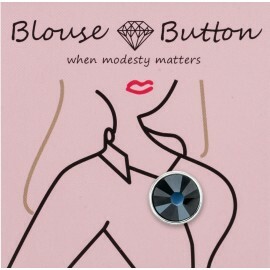 We've all had the problem of trying to keep a blouse closed up with a safety pin. But no matter how hard you try, the safety pin shows through and becomes the center of attention. No matter how pretty or expensive the blouse is, the safety pin just ruins the look. But what if, the pin that closed the gap or buttoned the blouse up a bit higher was meant to be seen and was in fact a beautiful accessory that you were proud to wear? That's how the Blouse Button™ idea was conceived, and since first appearing has already been purchased by thousands of women in a variety of colors. These are quality pins made with real Swarovski crystals and pearl cabochons which make for a beautiful accessory to wear with all of your tops. 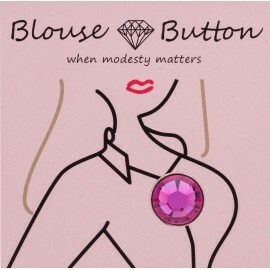 This is truly an accessory you cannot do without! Our Blouse Buttons™ are handmade with care. 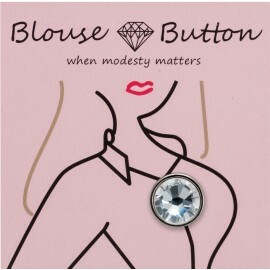 We use real Swarovski crystals so you get maximum sparkle and style. 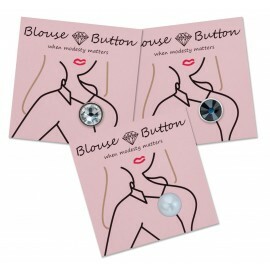 To wear, simply pierce through clothing and fasten clasp in back. Blouse Buttons There are 19 products.